The Transportation Security Administration failed to identify 73 airport workers whose names appeared on a government terrorism watch list. Of concern is that the workers had access to secured areas of commercial airports. In the findings in the Department of Homeland Security audit, the TSA designed a multi-layered set of controls for vetting workers such as matching workers to credentials, and re-vetting nearly 1 million workers against new watch-lists when issued. To test the veracity of the TSA's vetting process, the National Counterrorism Center was asked to match more than 900,000 records of active aviation workers against its Terrorist Identities Datamart Environment (TIDE) database. Auditors found that agency personnel did not identify 73 people with terrorism-related codes. “The TSA did not identify these individuals through its vetting operations because it is not authorized to receive all terrorism-related categories under current interagency watch-listing policy,” the Inspector General report stated. Inspectors said that the vetting and re-vetting was “generally effective” with identifying workers with links to terrorism, and since 2003 the agency had denied or revoke 58 airport workers as a result of its vetting process. The audit comes right in time for TSA workers flunking security tests at airport checkpoints last week, and exposing massive security breaches. The TSA was established in 2001 to ensure the safety and smooth passage of people at US transportation systems. One of the agency’s responsibilities is to vet workers who are employed by major airlines, airport vendors and other employers. The redacted audit found, though, that the TSA had a poor record of checking an applicant’s criminal history and authorization to work in the United States, relying instead on 467 commercial airports and air carriers to vet them. “According to vetting officials, TSA can only vet workers based on data received from airports,” said the report. The report also found that TSA had to send nearly 29,000 inquiries to credential applicants since the program began in 2003. Of those applicants they had to deny credentials to 4,800 potential workers because it could not verify their lawful status, even though airport personnel said the people had passed the airports’ own work authorization verification. The audit also found that 75,000 aviation workers didn’t provide their passport numbers, 14,000 did list their alien registration number and nearly 87,000 active aviation workers did not have a Social Security number listed. The agency is not authorized to collect SSNs but only to encourage workers to submit the data. The release of the audit comes less than a week after security tests at airport checkpoints exposed massive security breaches. Undercover federal agents were 95 percent successful at sneaking fake bombs and other banned weapons past airport security checkpoints during multiple tests. According to a recent DHS General’s report, Transportation Security Administration agents failed 67 out of 70 tests conducted to gauge whether or not airport screeners are up to snuff. Just 24 hours after the redacted report was made public, Acting Administrator Melvin Carraway was re-assigned. Sen Ben Sasse (R-Nebraska) said in an op-ed article published on Monday the full report should be made available to the public. “We are not safe. It is time to start effectively protecting U.S. flights from those hell-bent on killing us,” he wrote. 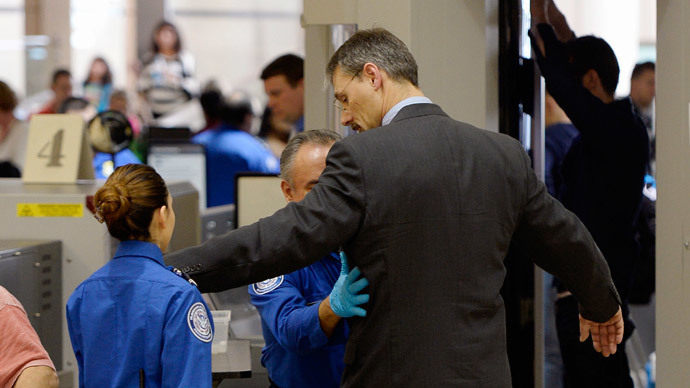 The Senate Committee on Homeland Security is to hold a hearing on TSA security issues on Tuesday, reported Fox News.